"Ye Shall Be Crowned With Much Glory"
"Whatsoever He Doeth Shall Prosper"
"Eat the Good of the Land"
"The Fulness of the Earth is Yours"
"He Will Direct Thee for Thy Good"
"Seek Ye for the Kingdom of God"
In searching for scriptures on prosperity I am no longer surprised by how often I find the process of gaining abundance to be a very proactive one on our part. The multitude of blessings the Lord has in store for us are all in our reach, we just have to actively seek them and work for them. Of course, even more wonderful is the fact that the process of working toward them is such a joyful one. Vs. 26: "For behold, it is not meet that I should command in all things; for he that is compelled in all things, the same is a slothful and not a wise servant; wherefore he receiveth no reward." Not only do we put undue pressure on our leadership, we cut ourselves off if we wait to be told everything. Vs. 27 & 28: "Verily I say, men should be anxiously engaged in a good cause, and do many things of their own free will, and bring to pass much righteousness; For the power is in them, wherein they are agents unto themselves. And inasmuch as men do good they shall in nowise lose their reward." What does it mean to be anxiously engaged? How can we be proactive about bringing to pass much righteousness? If you have any thoughts, please share. 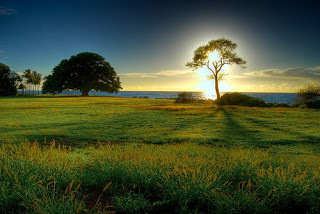 "First, men have been shown their eternal possibilities and have made the decision to achieve them. They cannot really long rest content with mediocrity once excellence is within their reach. "Second, other men and women and, yes, young people have followed the admonition of the Savior and have loved their neighbors as themselves and helped to bring their neighbors’ dreams to fulfillment and their ambitions to realization. "The catalyst in this process has been the principle of love." In order to be anxiously engaged we must 1) seek a vision of our eternal possibilities, and 2) love our neighbors. I love this idea of bringing our "neighbors' dreams to fulfillment and their ambitions to realization." In other words, when someone you love wants something, want it for them even more then they do. If we love others and send our focus outward we will be anxiously engaged. Psalms 1 describes the fate of the ungodly vs. a person whose "delight is in the law (also translated as teaching, direction) of the Lord; and in his law doth he meditate day and night" (verse 2). One of the first principles I was taught on my mission before I left for the field was the idea that we gain real power when we change our focus from how close we can get to the line, to actively finding more ways to be obedient. David teaches us here that to delight in the teachings of the Lord is to consider them day and night, and find ways in which we can celebrate His laws in our lives. When we do this, the blessing is that "we shall be like a tree planted by the rivers of water, that bringeth forth his fruit in his season; his leaf also shall not wither; and whatsoever he doeth shall prosper" (verse 3). When searching the scriptures we can all find ways to be more obedient, and be more confident in following Heavenly Father. The payoff for doing so is prosperity in all that we do. "Wherefore, be not weary in well-doing, for ye are laying the foundation of a great work. And out of small things proceedeth that is great. "Behold, the Lord requireth the heart and a willing mind; and the willing and obedient shall eat the good of the land of Zion in these last days." This was a time when the Saints were making preparations to go to Missouri from Ohio, and Joseph was instructing them who was going to be able to enjoy the blessings of Zion. When we give our mind and heart to the Lord, wonderful things happen. "As we undertake our personal search for Jesus, aided and guided by the principle of prayer, it is fundamental that we have a clear concept of him whom we seek. The shepherds of old sought Jesus the child. But we seek Jesus the Christ, our Older Brother, our Mediator with the Father, our Redeemer, the Author of our salvation; he who was in the beginning with the Father; he who took upon himself the sins of the world and so willingly died that we might forever live. This is the Jesus whom we seek. In this marvelous dispensation of the fulness of times, our opportunities to give of ourselves are indeed limitless, but they are also perishable. There are hearts to gladden. There are kind words to say. There are gifts to be given. There are deeds to be done. There are souls to be saved." In Section 59 of the Doctrine and Covenants the saints are in Jackson County, Missouri. As they strive to build Zion Joseph Smith gives them a vision for what that special place can become, and how it will become that way. First, Joseph says that for those who are obedient to the gospel "shall receive for their reward good things of the earth, and it shall bring forth in its strength". And that's not all - "they shall also be crowned with blessings from above, yea, and with commandments not a few, and with revelations in their time" (D&C 59:3-4). Isn't that interesting that from obedience we receive more commandments? In other words, when we follow instructions we get more! Remember that this is the Higher Law. These are the commandments that give us so much more than just obeying the original Ten Commandments. "that which climbeth upon the trees and walketh upon the earth"
"good things which come from the earth"
Then he goes into the many uses of these things - "whether for food or raiment, or for houses, or for barns, or for orchards, or for gardens, or for vineyards". 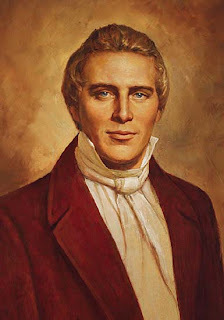 Joseph Smith goes on to say that all of the things on this earth have been created by the Lord for our benefit, not just to fulfill our basic needs of clothing and food, but "both to please the eye and to gladden the heart". Not only are the essentials met, but as obedient servants of God we also have our lives enriched. Let us all strive to create Zion-like homes. The promised blessings are just too good to pass up. In my institute class this week we talked about the Liahona and all of its many metaphors for us today. 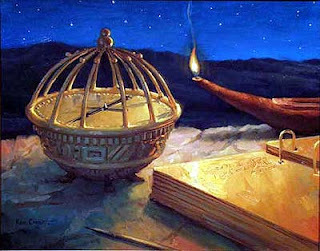 As a refresher - the Liahona was a small curiously crafted compass-like device that not only led Lehi and his family through the wilderness, but also gave them specific instructions. However, it only worked when they were righteous and listened to their leaders. We all have our own Liahona in the Gift of the Holy Ghost. If we are righteous it guides us to follow the prophet, and leads us on course to our own prosperity. Alma gave counsel using the Liahona as a metaphor. First, he said "counsel with the Lord in all thy doings, and he will direct thee for good". He then goes on to teach when that counsel should take place - "when thou liest down at night lie down unto the Lord, that he may watch over you in your sleep; and when thou risest in the morning let thy heart be full of thanks unto God..." (Alma 37:37). Staying close to the Lord through prayer keeps us in tune with the Holy Spirit, which then guides us in the correct path, just like the Liahona. Later in the chapter he continues with "it is as easy to give heed to the word of Christ, which will point to you a straight course to eternal bliss, as it was for our fathers to give heed to this compass, which would point unto them a straight course to the promised land" (Alma 37:44). Eternal bliss sounds pretty good to me. Another verse that caught my attention was verse 43: "for as our fathers were slothful to give heed to this compass (now these things were temporal) they did not prosper; even so it is with things that are spiritual" (emphasis added). In other words, the instructions they received from ball were temporal instructions, and at times they paid no heed to them (maybe that is why they floated around the wilderness for over 8 years?). At times either the prophet, or the spirit, or as is always the case - both, will give us instructions that may seem illogical. However, we are taught here that if we follow those instructions we will prosper. If we can get over ourselves and follow the gifts we have been given, especially when we do not understand them, we will excel in every way. Jacob Chapter 2 from the Book of Mormon is frequently quoted in General Conference. This is probably because of Jacob's statement in the beginning of he chapter where he declares that he is going to discuss some things that are difficult to hear, but he has to preach to the people in order to not be responsible for their ignorance. He then goes into a very powerful sermon about the Law of Chastity. In the midst of all of his strict "admonishing" Jacob gives us a few clues that lead us beyond just getting the basics and to the heart of spiritual and temporal prosperity. One of these statements in particular tells us exactly what to do if we want prosperity for ourselves and our families. Verse 19 - "And after ye have obtained a hope in Christ ye shall obtain riches, if ye seek them; and ye will seek them for the intent to do good-to clothe the naked, and to feed the hungry, and to liberate the captive, and administer relief to the sick and the afflicted (emphasis added). My testimony is that if we seek to do good and put the kingdom of God first, and if we actively seek to do good and give to others, the blessings flow in so rapidly we cannot possibly give them away fast enough. As long as you feel a genuine need to serve others and bless their lives, your life will also be blessed beyond imagination.